At a community meeting in February of 2016, when Oregon Department of Environmental Quality (ODEQ) air toxics specialist Sarah Armitage publicly stated "… yes, we're confident it's Bullseye [Glass Company]" being the source for pollutants in the Brooklyn neighborhood", neighbors were alarmed. Fueling the flames of concern later in February of that year was a notice from the Multnomah County Health Department, advising people near the manufacturer's facility not to eat vegetables from their gardens. THE BEE's early investigation of these statements led us to report at the time that these early concerns did not seem to be supportable; but nonetheless, those early comments triggered a Seattle-based law firm to file a $1.2 billion class-action lawsuit against Bullseye Glass Company (Bullseye). In mid-January of this year, the lawsuit plaintiffs reached a "settlement agreement" that "resolved all outstanding issues between themselves and Bullseye". "The settlement ends the lawsuit without any proof of harm; these types of lawsuits are usually settled to avoid exorbitant legal costs and continuing litigation for both parties," remarked the company's Manager, Jim Jones. 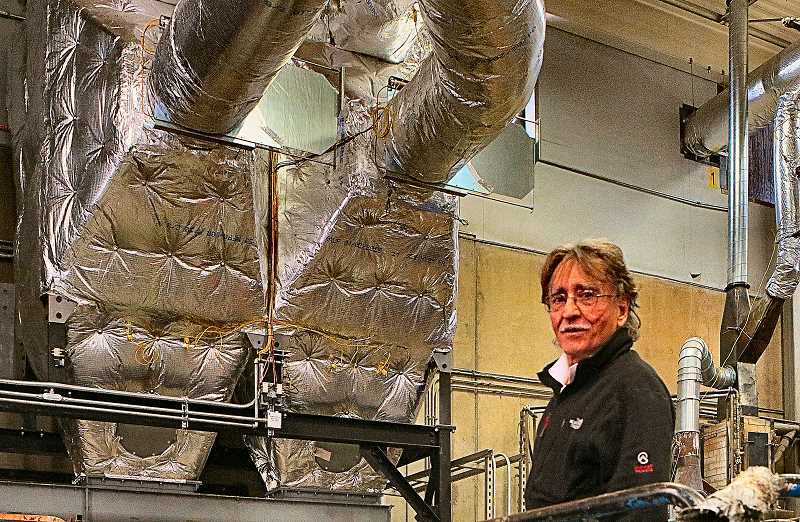 He reminded that, as covered in THE BEE, the company has spent about $2.2 million to install a state-of the-art emissions control and monitoring system that has been operating since the fall of 2016. "These advanced environmental devices ensure that Bullseye far exceeds the new 'Cleaner Air Oregon' regulations," Jones said. Company officials, and their legal team, have reviewed more than 300 soil tests performed by independent companies, DEQ, and the U.S. Forest Service. "We believe that any such testing will firmly establish there has been no contamination, related to Bullseye, that poses any health risks," Jones told THE BEE. "Nonetheless, we support reimbursing neighbors for the past expenses they incurred, after public officials made alarming announcements that caused them to do soil-testing and to buy home air purifiers; and, we are encouraging neighbors, who have not tested their soil, to resolve any lingering concerns about property contamination by having it tested." The legal agreement creates a $6.5 million "Qualified Settlement Fund", to pay for air quality monitoring, to reimburse for soil testing, soil cleanup, and residential air purifiers – and to pay the Seattle firm's attorney fees. ·	Up to $5,000 for soil remediation, if any metal concentrations of cadmium are shown to be above DEQ Risk-Based Concentrations, or if arsenic and hexavalent chromium are shown to be above ATDSR screening levels. What the extensive environmental monitoring in the area has actually discovered, Jones observed, is a high level of diesel particulates in the air – which are not related to Bullseye's operation. "We support a two-year air monitoring plan for diesel particulates in our Southeast neighborhood, and we have requested that the comprehensive air monitoring include the monitoring of diesel," Jones explained. About the company's Civil Rights lawsuit against the Oregon Governor's Office, the Oregon Health Authority, the Oregon DEQ, and Multnomah County, Jones told us that this legal action is ongoing. "We're continuing our lawsuit against these agencies in an attempt to discover why the government took such unprecedented action based on erroneous assumptions, lies, and half-truths, and why they concealed material facts from the public and Bullseye," Jones said. "Our hope is that this lawsuit will create transparency around the government's actions related to the toxic air scare."